Just how bad is the ongoing fraud in the banking system? Get ready for a mind-bowing expose by a former insider at UBS. 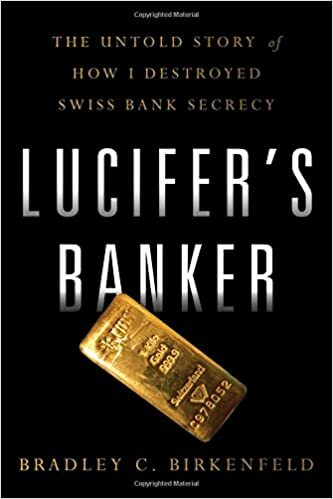 Brad Birkenfield, author of Lucifer’s Banker: The Untold Story of How I Destroyed Swiss Bank Secrecy, recounts the efforts he uncovered by his employer to help its clients cheat the US government out of tens of $billions in taxes. But despite his working with the government closely to expose the gigantic conspiracy between US-based tax cheats and the giant Swiss bank, UBS, the so-called Justice Department went after Mr. Birkenfeld for abetting tax evasion by one of his clients. After spending thirty months in Federal prison, he was released and three weeks later, received a whistle-blower check for $104 million, the largest such check ever from the IRS Whistle-blower Office.